The Annual Fund is a critical resource to provide students with the preeminent experience that has been synonymous with Sacred Heart education in San Francisco for more than 130 years. Gifts to the Annual Fund are applied to the current year budget to provide educational leaders with the flexibility to pursue the most pressing projects and to fast-track cutting-edge programs. This year, 97% of current families joined 100% of faculty, staff, trustees, alumni and friends in pledging their support to Convent & Stuart Hall’s Annual Fund. Gifts of all sizes are meaningful and greatly appreciated. 2019 Annual Fund thank you: The Annual Fund provides critical support to this year's operating budget. Click play to see what that means for our students. The Director’s Club recognizes donors who make a donation of $4,000 or more to the Annual Fund. In February, the President and the Board of Trustees host a cocktail reception to honor and thank the many current and past parents, alumni, grandparents and friends who have chosen to support the schools so generously. This year, 281 members of the Director's Club donated a total of $2,269,429. These gifts helped to provide competitive salaries and ongoing professional education for the faculty and to support financial aid, technology, fine arts, off-campus education and extracurricular and enrichment programs. 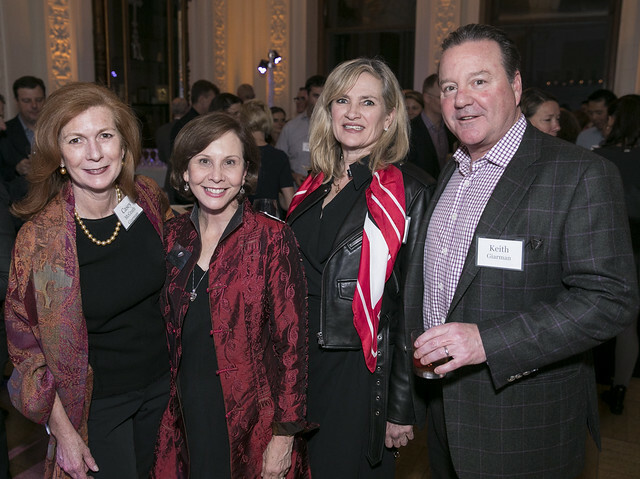 View photos from the 2019 Director's Club Cocktail Buffet. Why is the Annual Fund important? When does the Annual Fund drive end and when is my pledge due? Does the school accept Matching Gifts? Like all independent schools, tuition does not cover the true cost of a Convent & Stuart Hall education. The Annual Fund drive is a critical source of non-tuition revenue and helps the school meet yearly operating expenses. The Annual Fund provides the school with the financial means to attract and retain the very best faculty, serve a talented and diverse student body and enhance and maintain state-of-the-art facilities. Additionally, donations to the Annual Fund are 100% tax deductible, and many donations qualify for additional contributions from corporate Matching Gift Programs. Pledges to the Annual Fund are counted toward our Annual Fund goal of raising $2,585,000 until January 25, 2019. Pledges may be paid anytime before May 31, 2019. Convent & Stuart Hall strives for 100% family participation in the Annual Fund. Each year, 100% of faculty, staff and trustees pledge their support in the early days of the drive. This universal commitment to our school and our dedication to students is a strong statement about the strength of our community. Grandparents, alumni and friends also play a meaningful role in the success of the Annual Fund. Yes. Corporate matching gifts are a great way for Convent & Stuart Hall parents, alumni and friends to maximize personal contributions to the schools and increase the impact of their gift. By taking advantage of a company's matching gift benefit, you may be able to double or even triple the amount of a contribution. Last year Convent & Stuart Hall received $127,539 in matching gifts, thanks to the members of our community who leveraged this benefit with their company. Please check with your firm’s Benefits or Human Resources department to request a matching gift form. My experience at Convent was one I would never change.